Athletes across the sports world all have their unique superstitions and some are a lot stranger than others. Stanley Cup champion Alex Ovechkin, for example, has one of the weirdest superstitions and it involves his teammate Andre Burakovsky. There you have it, Ovi can't get ready to play without biting Burakovsky. 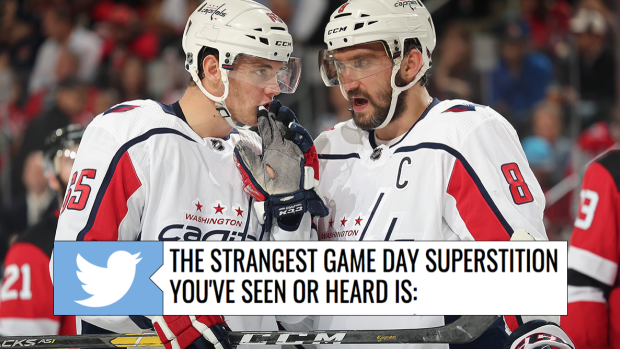 It's definitely one of the stranger superstitions we've ever heard of and we'd probably say that Ovechkin is bordering on superstitious rather than a "little-stitious."